This one tool that will make everything so much cleaner. Don Aslett of CleanReport.com offered his advice to help us mop like a pro. With more than 50 years of experience in the cleaning business, he’s got it down to a science. “I haven’t found anything that cleans better than a microfiber pad mop,” Aslett said. 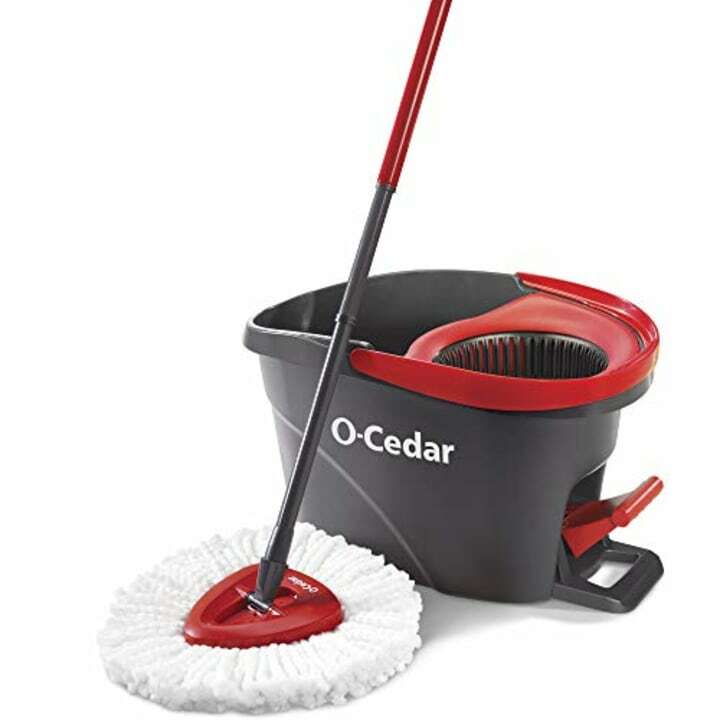 "It picks up dirt fast and easily and does the job without bulky buckets." Just be sure to use the microfiber pad best suited for each type of floor, he adds. Hardwoods and laminates clean easily with a short loop microfiber, while tile floors need longer fibers — or “noodles,” as Aslett describes them — to reach down into grout. 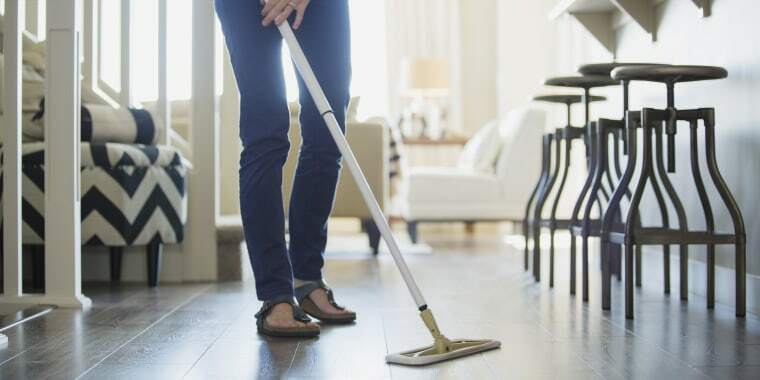 The best part about mopping with microfiber is that you only need plain water and a small amount of your favorite cleaning solution, which often saves money. How often should you mop? To put it simply, you should mop when the floor looks dirty. For small households, this may be every other week; for households with kids and pets, it may be once a week or more. Aslett suggests using doormats at entry doors to keep floors cleaner for longer. Makes sense! Start with a floor that’s well swept, vacuumed or mopped for dust. Otherwise, you’ll be pushing food, dust bunnies and who knows what else all around the room. For lightly soiled floors, wiping just once with a damp mop may do the job. For heavily soiled floors, you’ll likely have to mop twice. The first time, wet the entire floor (don’t flood it, just get it good and wet). This will loosen the dirt and any sticky goo. Mop around the edges first, then move to the middle of the floor, using overlapping, figure-eight strokes. When one side of the mop gets dirty, turn the mop over to the clean side. When both sides are dirty, wash the mop in the bucket; otherwise, you’ll be spreading dirt around instead of removing it. If any stubborn soil remains, remove it with a scrubber before rinsing. To rinse, go over the floor with a mop dampened with clean water. Rinse the mop frequently and don’t let the rinse water get too dirty. Pro tip: Place a quarter in the bottom of the bucket. When you can no longer see the quarter, it’s time to change the water. Wet the microfiber pad and wring it out well. To attach it to the mop head, drop it onto the floor with the microfiber side down. Then position the mop head over the pad. The pad will quickly adhere to the head because of the Velcro-like hooks and loops. Now you’re ready to mop. Using a spray bottle, spray a small section of the floor with cleaning solution and mop. When the pad starts leaving behind traces of dirt, it’s time to rinse it out in the sink. Each pad should usually clean about 500 square feet before needing to be washed, depending on what’s on the floor. Sticky residue may require more frequent rinsing. Mop in a overlapping pattern back and forth. That’s really it! Just mop, rinse the pad and repeat. There's no bucket or wringing out needed. This article was originally published on July 20, 2017.